Inspired by unique and luxurious details from Biltmore, our Biltmore Latex Mattresses are as graceful as they are restful. Gracious and flowing, the fabric design evokes the the trailing tendrils of the estate's venerable wisteria vines. Constructed of high-quality latex, you’ll enjoy a supportive, hygienic sleep experience, night after night after night. 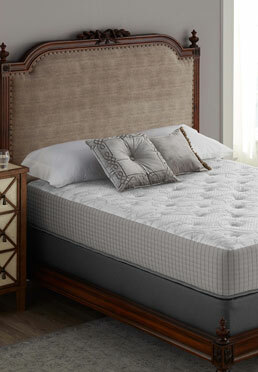 Claim your right to a healthier night’s sleep and livelier mornings with a Biltmore Latex Mattress.